Looking for a guide on how to design a T-Shirt? We’ve got that covered in this article. Enjoy your read. They’re ripped, they’re stained, they’re completely discolored…and yet, we still have them in our closets. The T-shirts we love are simply part of our lives – they’re the things people notice on us, and we often associate them with meaningful memories. That’s why we’re all after the perfect T-shirt design, one that conveys a message that means to us and which we want everyone to see. Knowing this, wouldn’t it feel amazing to be the one creating these shirts? 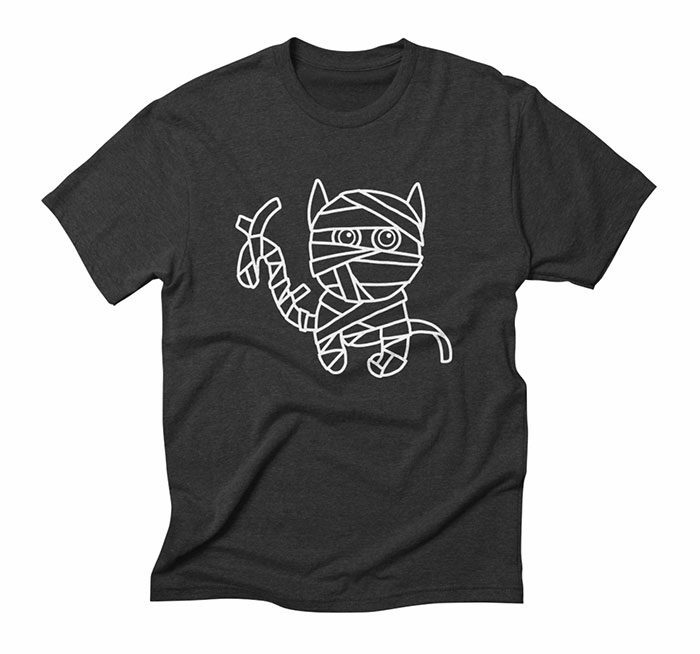 Wouldn’t it be just wonderful to design a T-shirt people will create memories in? What matters is that you’re in charge. 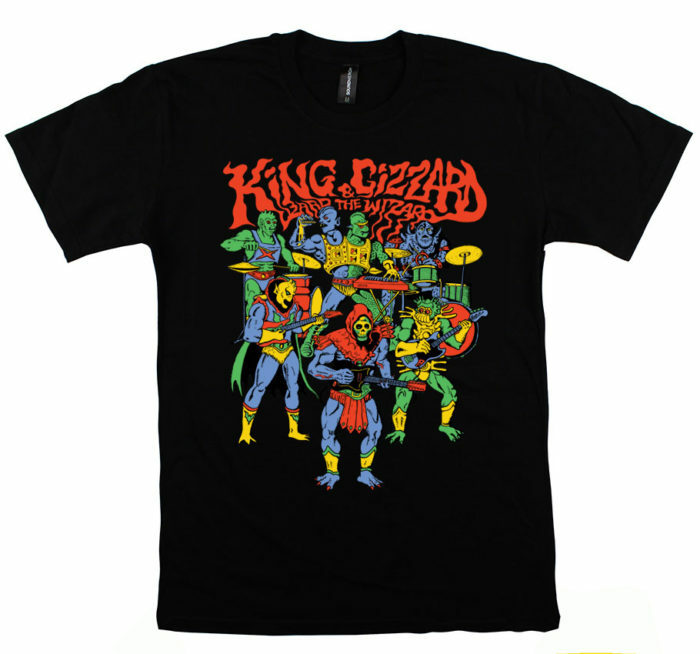 You design a shirt, and you are the person behind your band’s new outfit, the T-shirts for smart corporate apparel, or the guy who simply decided to use his artistic skills and to create the best T-shirt he ever had. Whatever it is – it’s fun! Our role in this process is to help you design a T-shirt just the way you want it. To achieve this, we will guide you through the process step by step, and explain where you should turn to have a gorgeous design mass-printed. The experience doesn’t really matter – if you have the vision, these tips will teach you everything else! Think of the reasons why you’re designing a T-shirt. Will you use it yourself, or are you aiming to create a brand? Who are your clients? Do you know what they like? 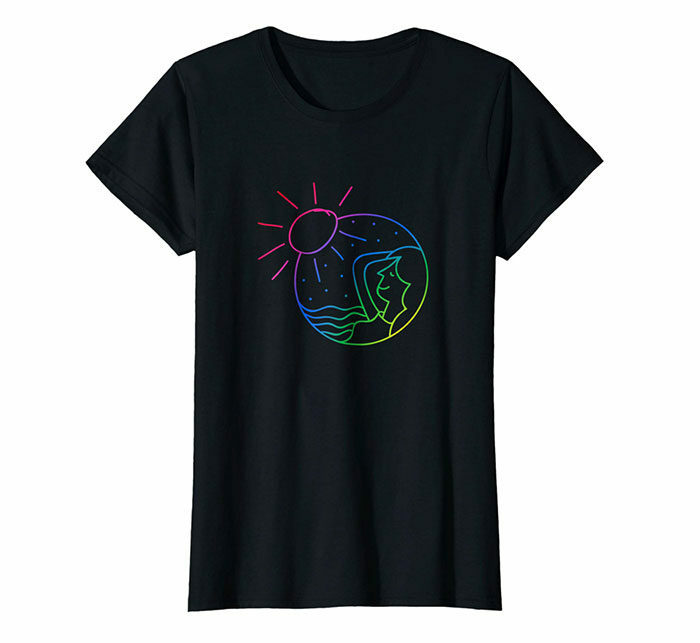 As an example, some people create T-shirts to raise awareness on a cause, while others dream of creating the coolest piece of the year everyone wants to wear. To be successful, you need to define a core message for your T-shirt designs and convey it the right way, even if that means creating an entire collection that portrays your brand in detail. Somewhere out there, there are people who think just like you. 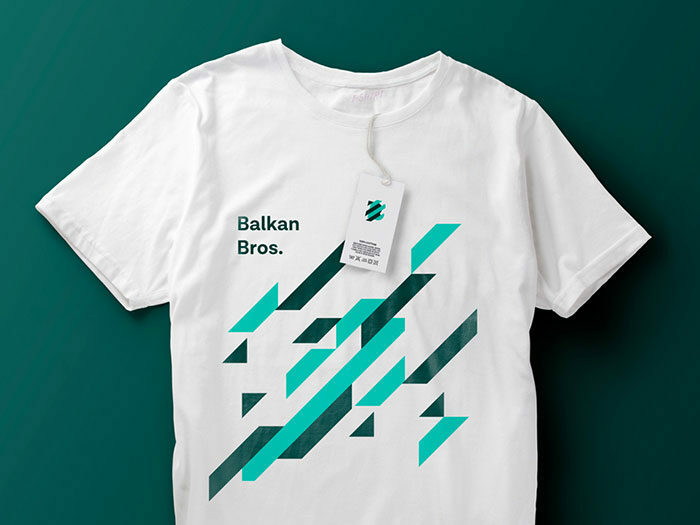 Regardless of why you want to design a T-shirt, branding is something you’ll need to think about. If you want to promote and sell T-shirts, for instance, branding is exactly what you want to achieve. Even when you want to help people look nice with no obvious reason at all, you’ll need to keep products consistent. That also counts for those who wish to commemorate an event or design shirts for personal use. If designing T-shirts to promote your brand, you can give them away for free. 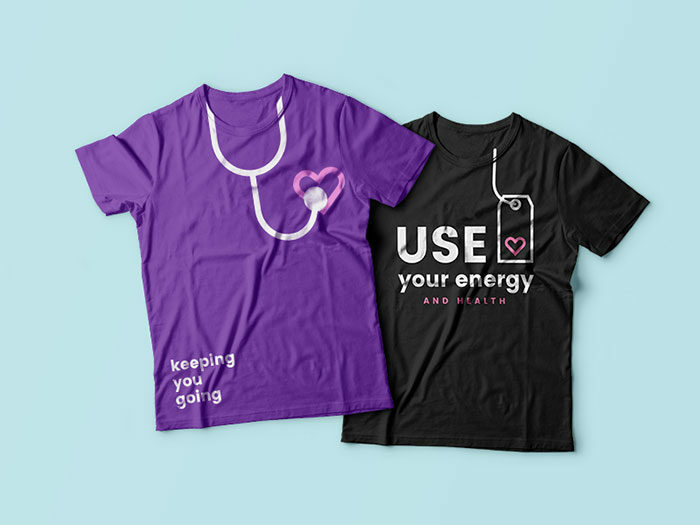 Your prospective customers can than wear them at conferences, conventions, business meetings, or any other even that could draw attention towards your cause. Once again, your goal is to promote your brand. T-shirts are distributed to employees to thank them for their appreciation, or even warn as company uniforms. You’ll need to find out where your product stands in the market, and the best way to do that is to find out what your customers want. While it is good to plan designs from your own perspective, you still need to think how to sell them: gather some quantifiable intelligence, and use it to prepare a smart business strategy. T-shirts are among the best souvenirs that commemorate a place or a special event. 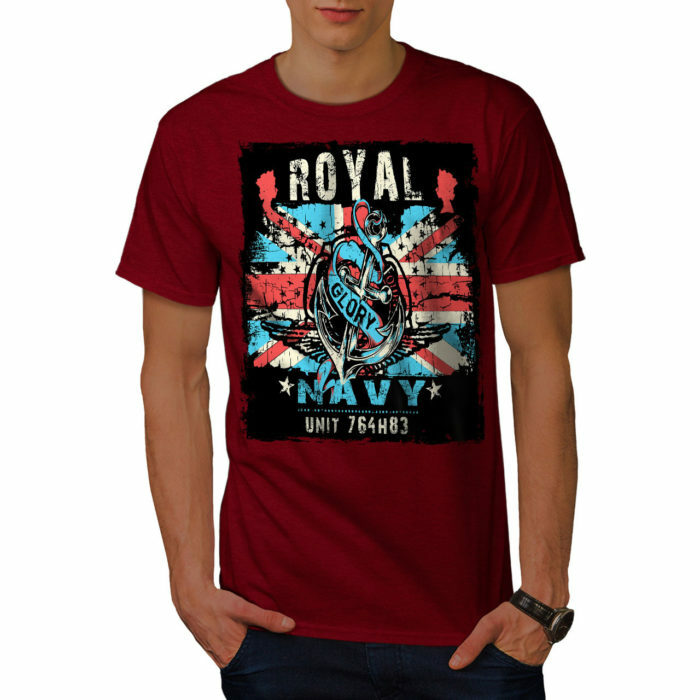 Therefore, souvenir shirts designer have much in common with those designing for corporate use. In this case, however, the designs should be more casual, and oriented towards a larger audience. You can’t wait to see your T-shirts delivered to customers, and that’s perfectly understandable. But take your time! There are many issues you can fix in advance to save some designing time. Budget and quantity are the most important among them, as you need to know exactly how many T-shirts you can afford. What does your budget plan reveal? For starters, it determines the number of colors you can use. 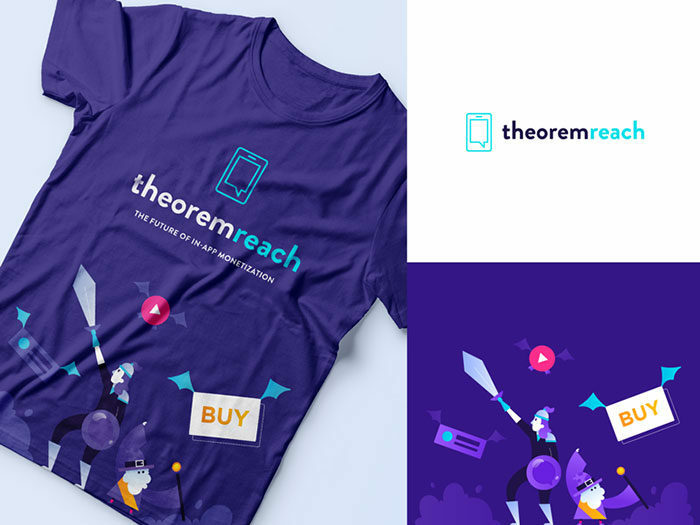 You will also be able to estimate the ideal T shirt design size, depending on how much printing space you have, and how much the printing method costs. The more flexible you are, the more it can cost you, so set clear boundaries and stick to them. The printing method will also be influenced by the number of T-shirts you want to sell. There are methods that enable bulk printing, but also such tat charge per piece and are thus suitable for smaller orders. The only way to limit the amount you’re spending is to plan wisely. Printing is perhaps the most important part of the ‘how to make custom shirts’ learning curve. The choice of a suitable printing method depends on many factors. The material, the appearance, the cost, and the production time – they all matter. Some research on the available printing methods will help you choose the right one for you. Screen printing is the most common T-shirt printing method, as well as the most successful one. It allows you to print original design screens with your printer, and it thus allows bulk printing. Screen printing is suitable for: Larger batches (more than 20); multi-color designs (preferably up to 6 colors). Printing with vinyl is another heated transfer method you can consider, and it lasts more than ink. Vinyl printing is suitable for: Unique designs that should stand out – different types of T-shirt lettering, such as slogans, names, brands, and more. It is better suited for smaller orders. This method comes quite close to actual paper printing. It is the hottest trend on the T-shirt design market that enables inkjet printing directly onto fabric. 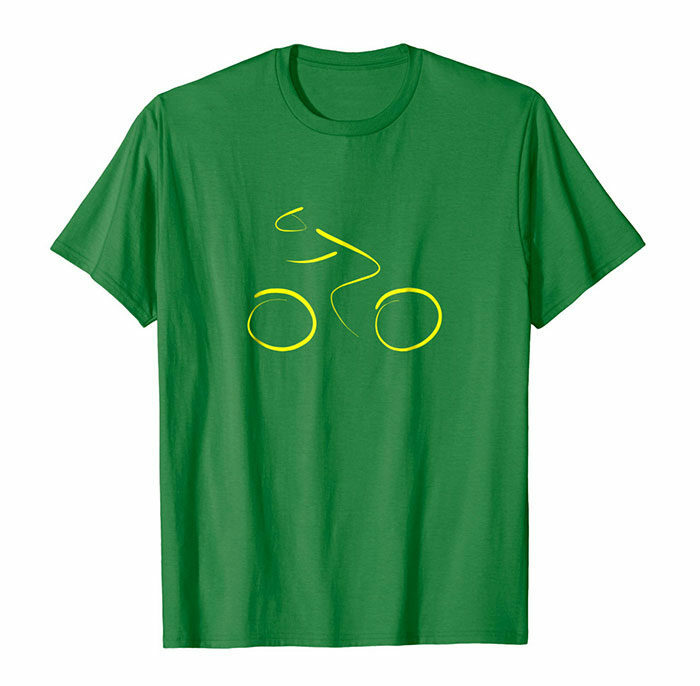 Direct-to-garment printing is suitable for: T-shirts with multiple colors (over 6) or photos; ideal for small orders; works well for beginners. You can use all the colors that you want, and yet per less per piece. The printed designs are highly accurate, and the method works for both single and small orders. You can’t use this method for bulk printing – it will cost a fortune, and become less and less viable the more you print. It doesn’t look nice on dark-colored T-shirts. Explained in the simplest way, all of your T-shirt fundraising efforts depend on how good your design concept it. This is why creative processes take time – artists don’t just go for the first thing that comes to their mind, but they invest some serious time thinking how to pull everything through. Quite often, they also consult colleagues and creative friends for brainstorming sessions, and they come up with great ideas. The type of T-shirt: We’ve focused so much on designs and how to print them that we actually forgot about shirts. 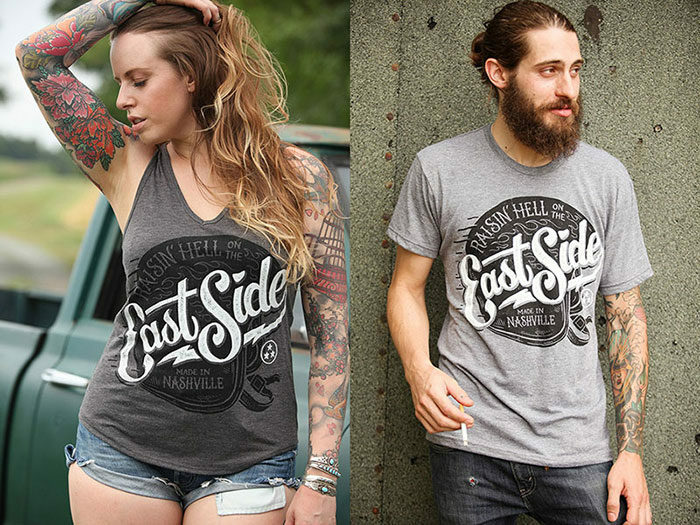 At the same time, there are so many shirt types that could match our design that we may end up totally confused. What T-shirt did you imagine your design on? Was it a v-neck shirt, crew neck, snoop neck, or a tank top? The options are just endless, so follow your goals and try to pick the model your audience would be best fond of. If promoting a law firm, for instance, you’ll want to stay aside from revealing crop tops in significantly vivid colors. The next thing you should consider is the size. 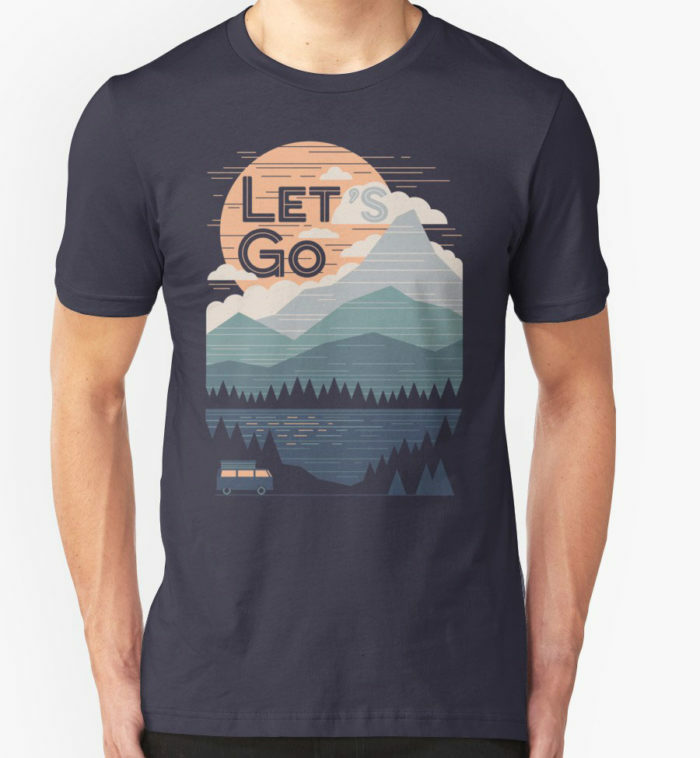 Your design should look well on both larger and smaller T-shirts, and that may cost you a bit more than you expected (as it is with screen printing, for instance). 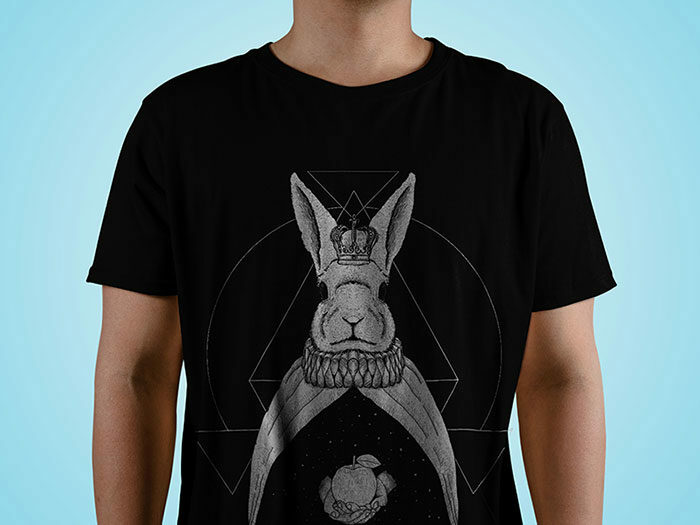 Get inspired: By the time you begin designing tees, the style and theme should already be set. This shouldn’t scare you though – even if you hit a dead end looking for ideas, there are several rules in goal-oriented designs that can help you. If working on corporate apparel, for example, keep the designs uniformed and professional. If it is a creative organization, sports team, or a band, make it artistic and slightly informal. 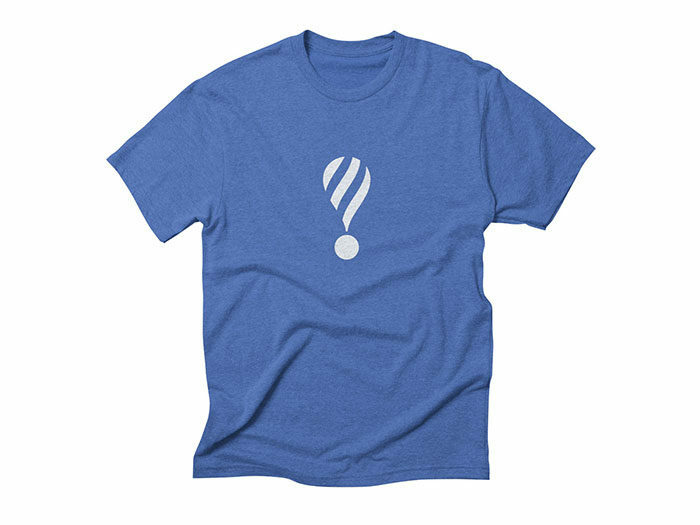 Regardless of the purpose, try to picture your T-shirt being used, and you’ll have the answers to all your questions. Humor and pop-culture designs: Of course, it is important to give people something they can relate to, or to use your creativity to raise awareness of a cause. What will work always and for everybody is humor, so consider that as a potential design idea. Yet, avoid low-cost jokes and keep the message subtle. 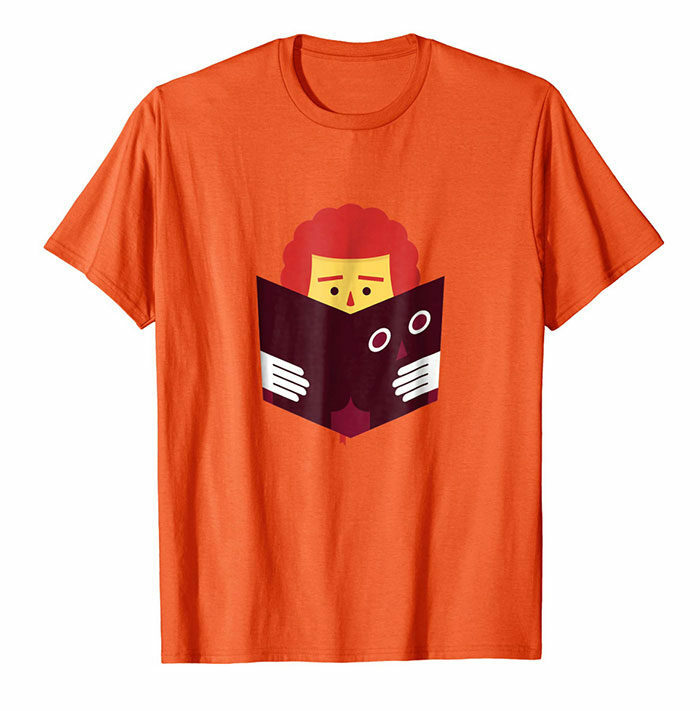 Funny T-shirts are simply everyone’s thing – you can see them on people from all generations, and they’re always relaxing and fun to look at. Before you choose this option, however, try to come up with original ideas. 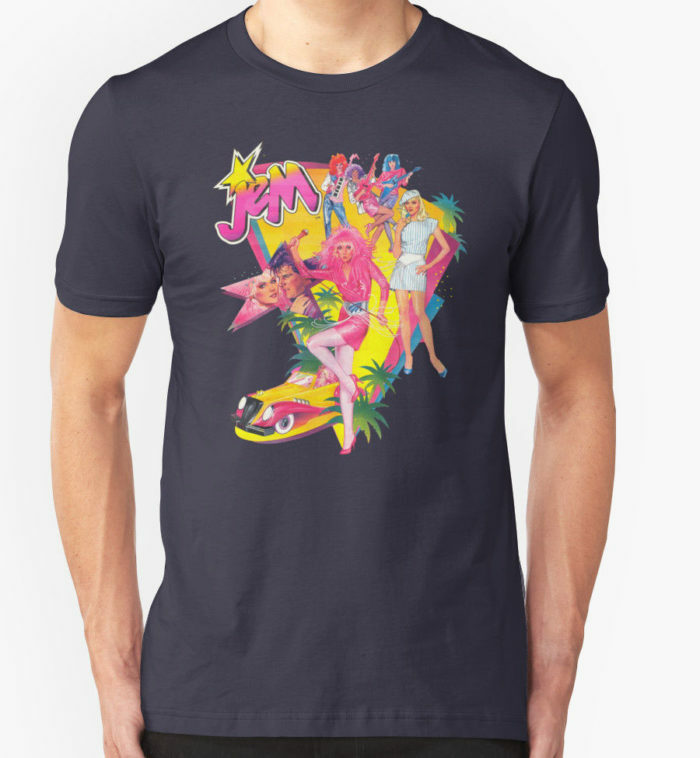 Pop culture motifs, for instance, are quite common on T-shirts and hoodies. If you’d go for something like this, try to design your own images in order to avoid plagiarism charges. An important phase of every design process is gathering information and working on preferences. The better you’ve done your homework, the fewer mistakes you will make once designing is actually on. 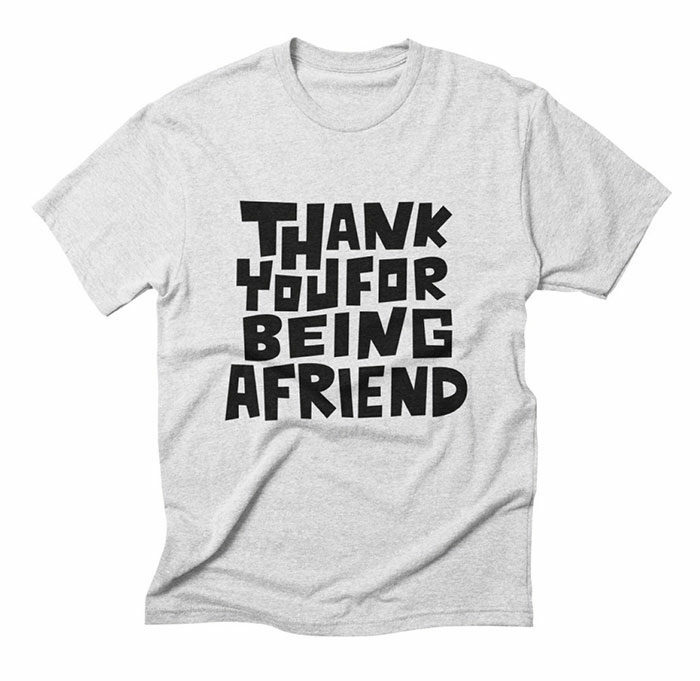 Typography designs: This design type refers to all sorts of T-shirt lettering. As simple as it sounds, typography requires a lot of creativity, as you have to develop the right message, phrase, or slogan to put on the T-shirt, and then think of fonts, colors, pairings, and other features. Typography designs are simple, and they don’t require special artistic skills (if any!). You can have them done with any printing method, since you’re not working with too many colors. 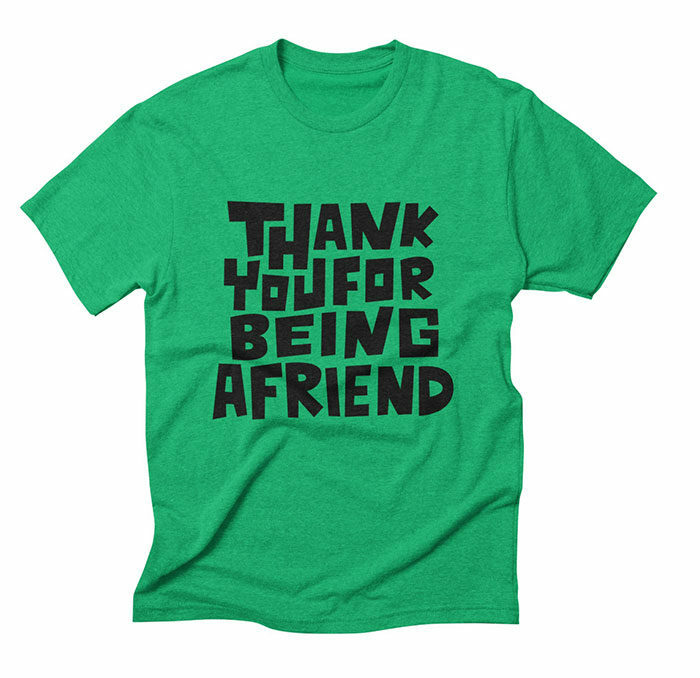 Pairing of phrases and fonts as well as proper word arrangement can make or break a popular T-shirt, so take it seriously. Make sure you’re original in order to avoid infringement of copyrighted and trademarked messages. 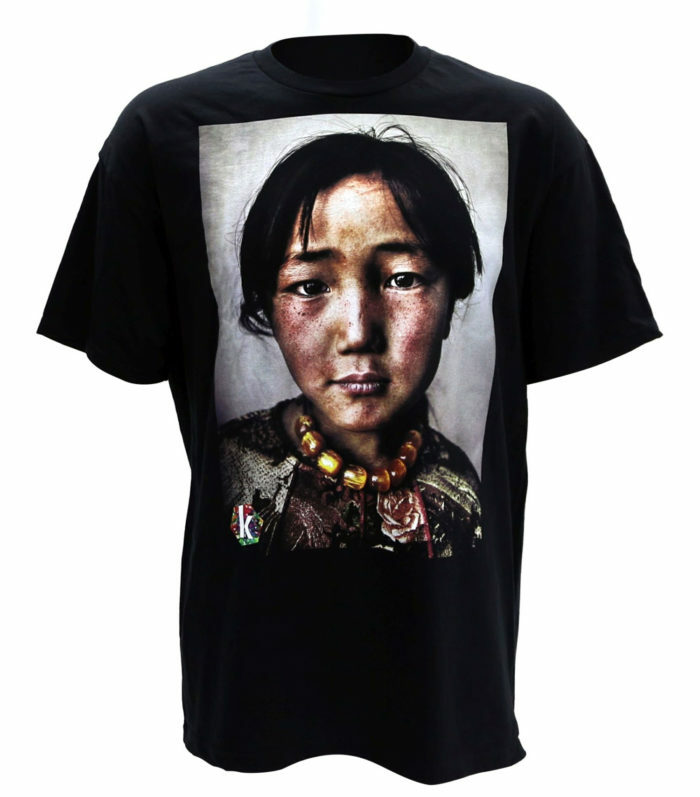 Photography designs: The focal point of these T-shirts is the image on them, and it is very important to print it right. We recommend you to go for the direct-to-garment printing method, as it provides the best quality. 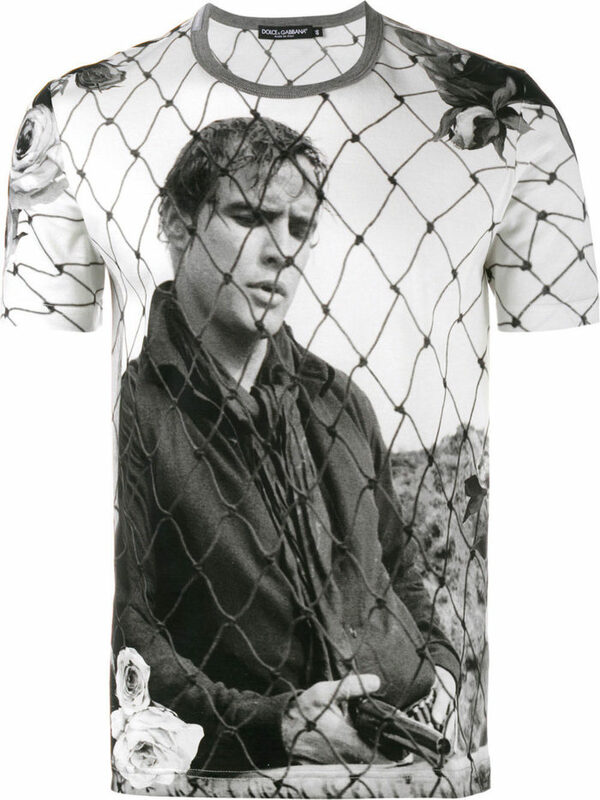 People love image T-shirts, as they capture attention at all times. We advise you to print an original and custom-made image, so that no one can replicate your design. Printing images is more complicated, as you have to get the right size file to ensure good quality. If the image you’re using was not made by you, you’ll probably need a license to use it in order to avoid messing with copyright laws. Graphic designs: When you combine typography and illustration, your work will fall under the scope of graphic designs. The most important parameter is pairing images with lettering in an illustrative and stylized way, so that the final product is attractive rather than overwhelming. You will probably be able to use any printing method, unless your design is too colorful. Plus, you’ve got a genuine opportunity to create something unique, and not to deal with copycats. Graphic design is one of those majors where you really need to possess artistic skills. If not, you can always consider hiring a professional to do that for you. Branded designs: The sole purpose of branded designs is to promote a brand, product, or a company. If you want them to be effective, you should have a really good understanding of that brand and what it stands for, and choose the colors, styles, and fabrics that can reflect that. Each time a customer wears this T-shirt, he’ll be advocating your brand. Designs are impactful but simple, and usually don’t cost much. Better yet, you can have them printed with any method you prefer. This time, you need to be really sure that customers like your design. If they don’t wear it, you can’t sell it. Color is one of the most important design elements and for a good reason – it communicates style and personality easier than any other element. Take branding design as an example – buyers connect products with the brand behind them mainly because of color, be that a single tone or a combination of few. Another important thing about colors is that they have specific emotional impact on customers, such as making them trust your brand, or motivating them to do something. When you think of color, think 2 ways – the color of the print, and the color of the T-shirt itself. We don’t even have to say how important it is for these colors to complement each other. 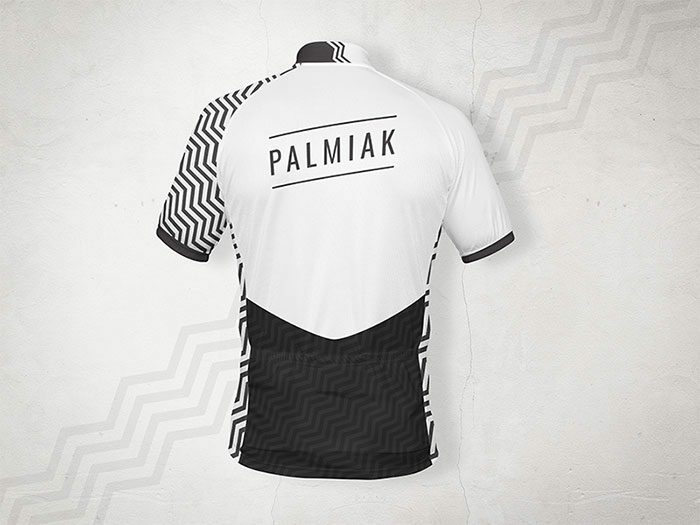 You’ve got the shirt, and you’ve got the design print ready for it. Next, you have to design on how and where to place that design. You can try multiple different positions with a template or an uploader. While it is great to be creative and to come up with an original idea, there are few good all practices you should consider. In most cases, for example, you won’t be expected to cover the entire front side of the shirt, but place your design somewhere in the middle, preferably closer to the collar (at least 2” down from it). 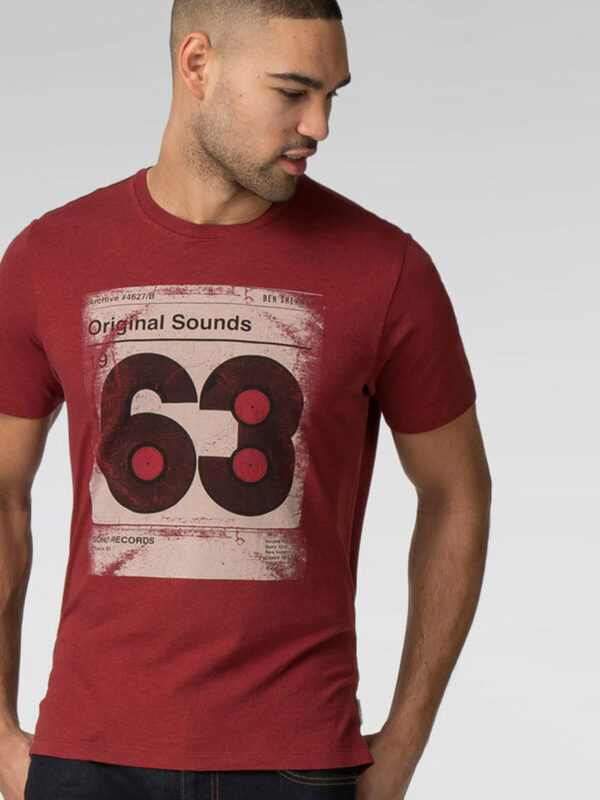 There are also T-shirts where designs placed significantly lower (even 5” from the neck line), but they don’t always pick up as much attention as the artist would expect. The more appealing your design is, the more buyers you will get! 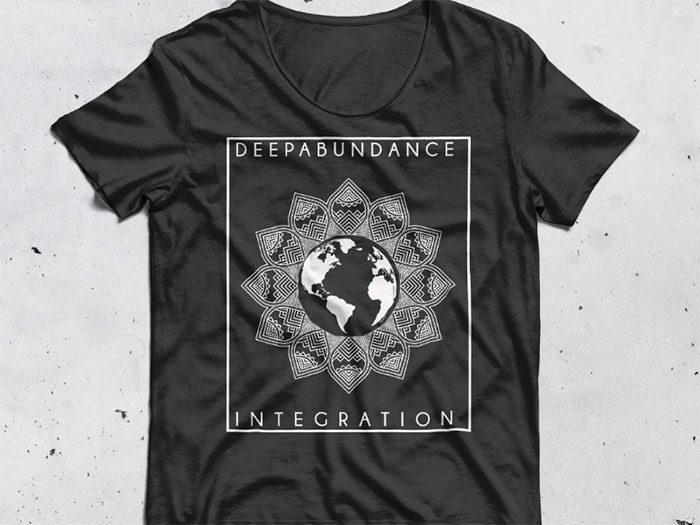 Large and centered – This is the leader of all printing locations, as it displays your awesome graphic just over the sternum, making sure that no one will miss it. It works great for all print shapes, including round graphics. Frockets – If you’re designing a logo, this is the right place for it! ‘Frocket’ stands for front pocket, and ensures an official and respectful look. If you pair it with a full-back graphic, you’ve got yourself a winner! Across the chest – If your graphic is thin and horizontally positioned, the best place to put it is across the chest. This is also the ideal placement for typography prints, ideally positioned 3” below the collar. Full back designs – If you have a large and meaningful graphic to convey, you should put it at the back of the shirt. Keep the center higher so that it will cover the shoulder blades, and pair it with a beautiful logo in the front. Yoke – Literally explained, yoke is the tool farmers used when harnessing their oxen. In T-shirt design terms, it stands for upper back prints that are impactful and relatively inexpensive to print. This is the ideal position for a small graphic or a logo, if placed in the middle between the shoulder blades. It will look just great if you pair it with a larger graphic in the front. Across the back – This is the backside version of popular across-the-chest prints, centered exactly over the shoulder blades. It works just fine for thin designs and text prints. When possible, use the highest resolution. It may cost more, but you’ll be improving both the looks and the function of the T-shirt, and your fans will be impressed. We suggest you upload files at maximal dimensions (2400px x 3200px), and to work with 300 d.p.i. 150 d.p.i is also an option for those preparing simpler designs. At the same time, T-shirt designs don’t provide you the same flexibility as, let’s say, a poster. They will be worn on bodies, which means they won’t be as symmetrical as we want them to be. For this reason it is better to choose uncomplicated and flat designs. High-density – Creates a dimensional appearance. It works great for pop-out and 3D designs. Gel – it has similar qualities to the ones of high-density ink, but looks a bit wetter. Water-based – it is fully ingrained in the fabric, and you can’t feel it upon touching. Don’t worry if you have no experience in design. 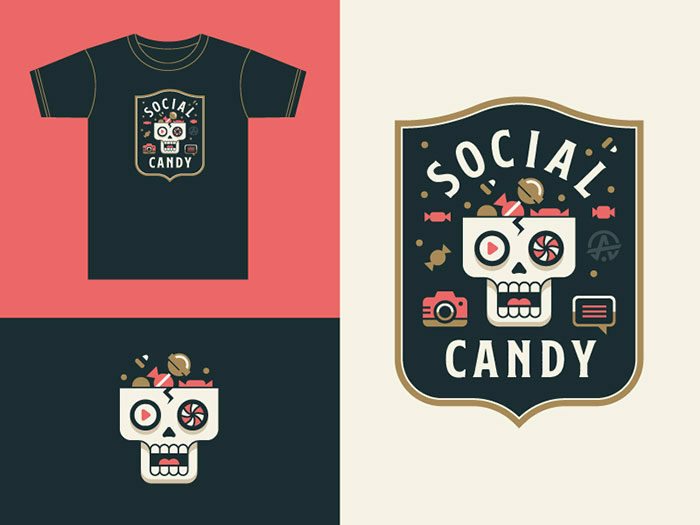 There are multiple excellent programs nowadays (The Adobe kit, for instance) that let you produce designs on your own. Yet, if you don’t learn a thing or two on these programs, you’ll only be able to come up with simple designs. The best format for your files is CMYK. RGB is not an option. CMYK s designers’ favorite color model, as that’s the model printers use. Photoshop will let you do this very easily, by simply exploring its image format options. Dark garments are specific: If you’re applying your design on a darker T-shirt, you should first apply a layer of white ink. Without this base, the fabric will reduce (or absorb) the vibrancy of your design, and the T-shirt will look opaque. Transparent backgrounds ensure a better effect. Use transparent backgrounds each time when that’s possible. Not doing so may result into creating unappealing white squares around your image. 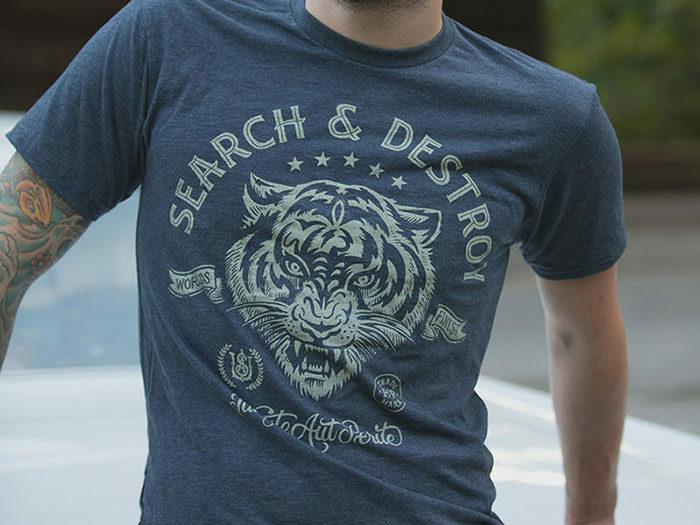 Designing and selling T-shirts doesn’t necessarily require you to do all the heavy lifting. If you can afford a professional who’s already informed on design, branding, or marketing, go for it! That’s much better than spending months (or years) learning something that may not be your thing. Take care who you’re hiring. You need a designer who understands your ideas, and suggests acceptable solutions. Before you close the deal, exchange images and tips to ensure that’s they style you’re looking for. Needless to say, ask him to provide you samples of his design, or consult his former clients for a recommendation. Once the designer takes over, inform him on any idea you have. If you’ve worked on multiple versions of the same design, send them to him and ask whether he has a favorite. Keep him updated on your technical and marketing requirements, including the budget you have available to ensure you can actually afford to print. On your side of the table, there is more business than art, so stay pretty specific on what you want. Have your design pre-approved by key stakeholders, or at least people who’ll give you an honest opinion. This way, you’ll have an idea on how the market is about to react on your design, and you may even discover mistakes you didn’t know were there. A question you could ask is: What does this T-shirt tell you? Who would wear it, according to you? In the best scenario, you will hear exactly what you want to hear – that the T-shirt conveys the right message. In the opposite case, you’ll at least know there is something you should change about your design. Now that your design is all shiny and ready to conquer the market, the last thing you want is to mess up the printing. For this too you have to maintain excellent communication with the designer. 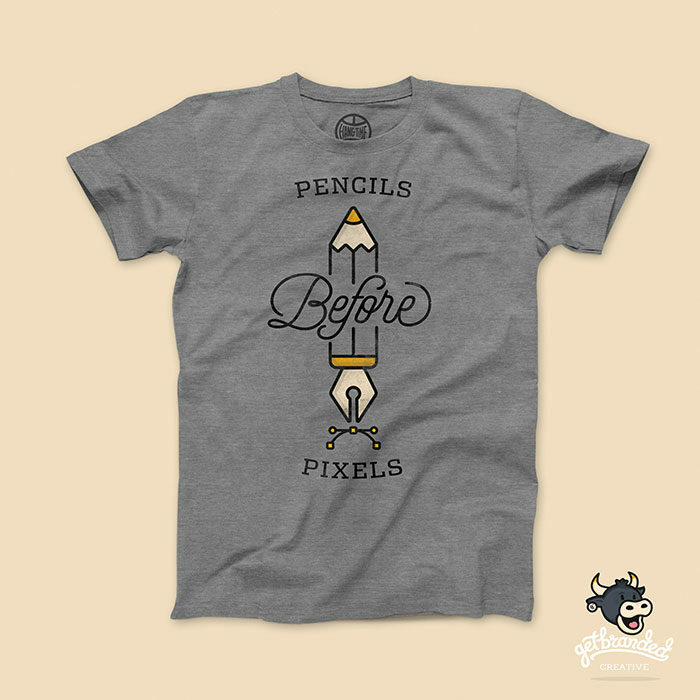 The T-shirt designs should be delivered in vector formats, preferably PDF, AI (Adobe Illustrator), or EPS. Depending on where these designs are to appear, you may also need multiple formats. For printers that do custom colors, you’ll need CMYK or Pantone color codes to get a design that looks the way you want it. As good as it is, your artwork will be ruined by a poor printer. 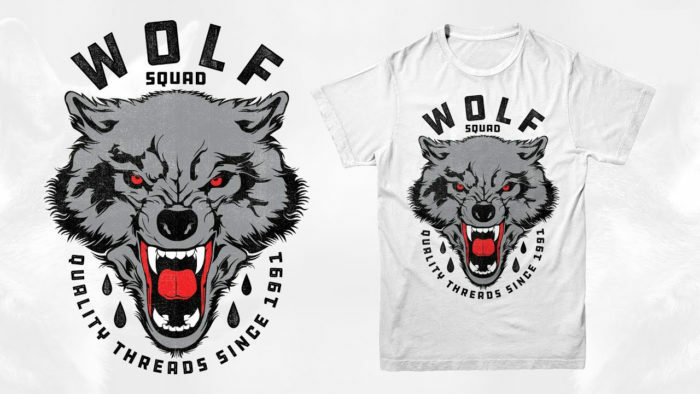 Therefore, you need to choose a reliable company before you begin mass-printing T-shirts. We’d advise you to compare several imprints to see which printer works the best. Next, compare the prices, and try to close a smart deal that won’t affect the quality of the prints. You also need to check whether this printer offers the technique you need, and whether you can get some extra features that could improve your work. The process of finding a good printer may take a while, but it will spare you trouble on the long run. Check some finished shirts they produced – most of them will be happy to show them. Use your presence there to consult them on printing your designs, as they specialize in the area, and they’ll certainly have some useful tips for you. If you’re satisfied with the service you got, think of maintaining a constant working relationship with the same company. Don’t discard companies that offer more services than what you need, since your designing career is only beginning. Better yet, successful printing companies are great marketing partners who could recommend you in future. Make a deal that involves pre-press proofs. It is the best way to avoid unpleasant surprises. Check well for hidden charges, as for example films or pantone color matching. Misuse happens here as it does in any other industry, so keep all cards open. 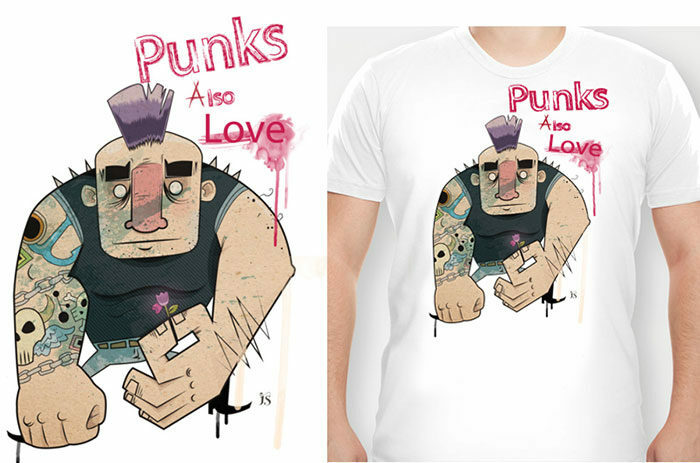 Designing a T-shirt for you is fun, but designing T-shirts for mass sale is responsibility. You need to plan the process carefully and to explore your audiences’ preferences, as this increases your chances of success. To start with, pick the design type you’re going to work with, and make a realistic budget plan to avoid unexpected expenses. 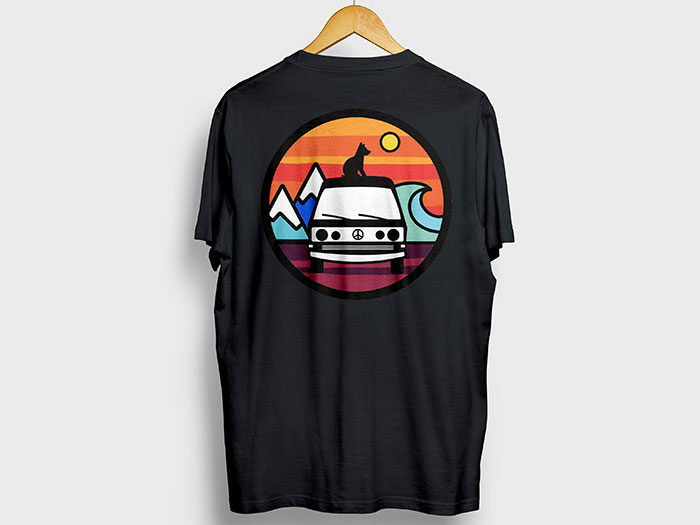 If not confident about your artistic skills, ask for professional help – what matters at the end of the day is whether these T-shirts sell well. The post How to design a T-Shirt: The best guide online appeared first on Design your way.